Welcome to Advanced Roofing Services (ARS). 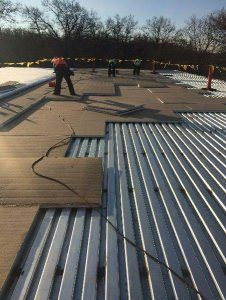 We proudly serve Toledo, Ohio, the Great Lakes region and beyond with industrial and commercial roofing solutions for a diverse range of flat roof applications. Located just outside of Toledo in Maumee, Ohio, ARS is a full-service roofing company, combining exceptional, client-focused services with the highest quality products around. Our philosophy of “low volume-high service” continues to drive our success today, just as it did during our beginnings in 1999. Our consultative approach to every roofing project we commit to allows us to determine the best solutions to meet our clients’ needs. From the initial concept meeting to the dedication ceremony, client satisfaction is at the forefront of all we do. We are convinced that the degree of customer-focused service we provide will allow us to be your final roofing solution for years to come. No matter the need, our experienced roofing specialists have the equipment and capabilities to identify the source issue and provide the optimal solution quickly and efficiently. Give us a call at 419-891-1505 today to learn more about our commercial and roofing services. 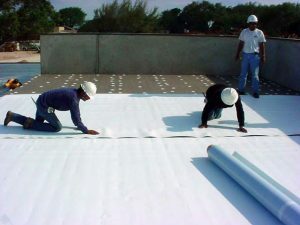 After a visit to your facility, our highly skilled roof experts can offer you a no cost, no-obligation cost estimate. Let us prove to you that we are your final roofing solution.